BOSTON (Reuters) – Massachusetts Governor Charlie Baker (pictured above) proposed a bill on Tuesday to allow police and courts to hold people facing deportation orders in custody for extra time to allow them to be turned over to federal immigration officials. The move by the Republican came a week after the state’s top court ruled that law enforcement does not have the legal authority to comply with U.S. Immigration and Customs Enforcement detainer requests. The ICE requests ask that people facing civil deportation orders be held in custody for up to 48 hours after the cases that brought them into the court system are determined. Baker said the court’s decision overturned longstanding policy in the state. Baker’s proposal would limit compliance to cases where the person ICE officials want detained is suspected of violent crimes such as terrorism, street-gang activity or human trafficking, or has been convicted of a felony not directly related to his or her immigration status. ICE detainer requests apply to immigrants in the country illegally who are arrested or otherwise enter the criminal justice system. 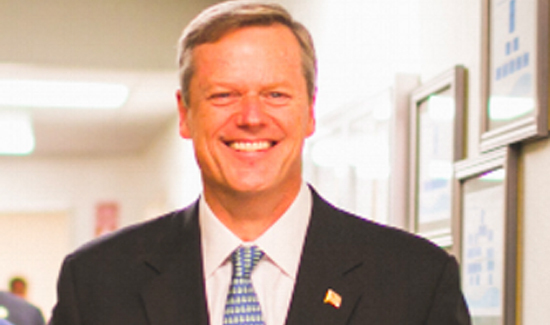 Baker’s proposal would require a judge’s approval to hold people facing a detainer request for longer than 12 hours after their cases are resolved. President Donald Trump has made cracking down on illegal immigration a top priority of his administration.